Spanish fashion label Zara continues to bring forth collection after collection of sensational designs, and gets into the 70s vibe for the new season. Presenting the '70s Style' Lookbook, the popular high-street label offers a selection of trendy retro styles. 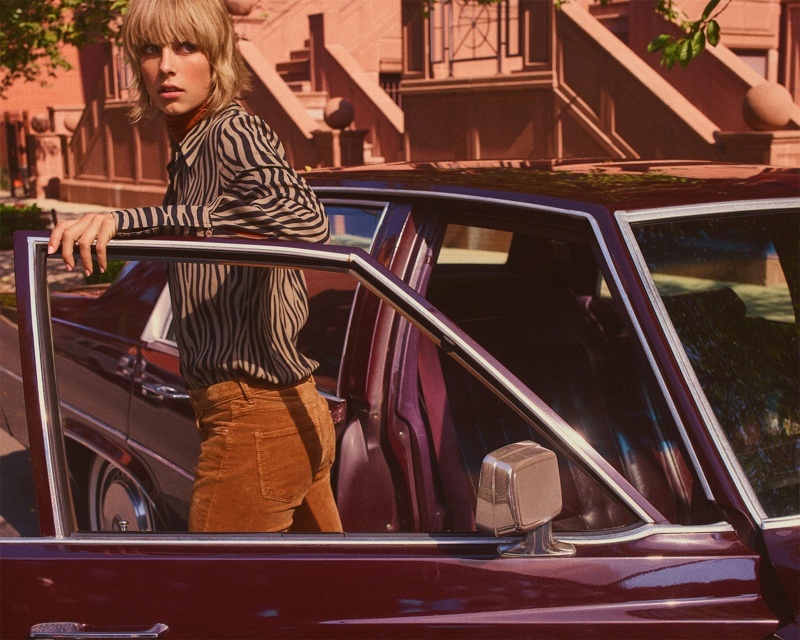 Starring British model Edie Campbell, the lookbook takes us out and about into the sunny outdoors and has the model looking retro-chic. Edie shows off corduroy pants, plaid outerwear, pleated skirts, animal prints and printed knits, and she also shows off nautical caps, leather loafers, belts, fingerless gloves and ankle boots, rounding off her autumnal fashion.